I do love the elves at Cadbury’s, especially as they are working extra hard this year as Cadvent has just been launched. 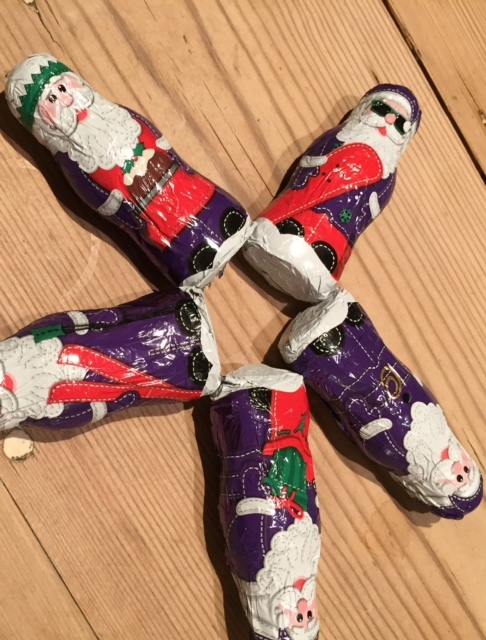 Cadvent is a unique Cadbury’s twist on Advent – as you might well have guessed. 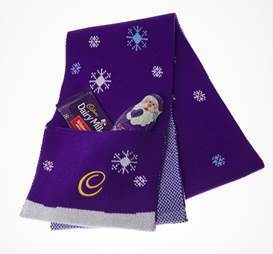 So as well as lots of festive variations on my beloved Dairy Milk, including white and milk chocolate Christmas trees, snowmen filled with chocolate mousse, Snow Bites snowballs and of course everyone’s favourite treat Roses, Cadbury’s this year is doing a special range of lovely wintery scarves and hats. These are in homage to the knitted effect festive packaging which Cadbury’s have been doing for a few years now. 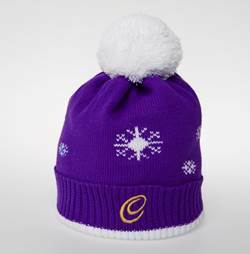 The hats and scarves are designed in Cadbury’s gorgeous purple livery, especially to keep the cold out – and keep the chocolate in. If you look closely at the scarf, you can see it comes complete with a wonderful deep pocket, which is just perfect for stashing several fistfuls of your favourite Roses or a Freddo chocolate frog or too, keeping them safe from whatever marauding relatives you may have visiting. Meanwhile the hat has an extra-deep hem which doubles as a handy cache for chocolate buttons and jolly chocolate Santas. If you’d like to know more about Cadvent (and frankly, who wouldn’t?) 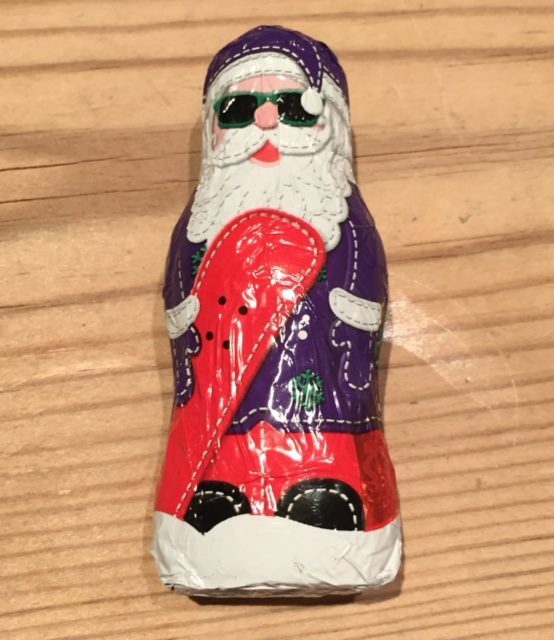 then pop over to Cadbury’s Cadvent site. You can buy special Christmas hampers online, and when you do, there’s a chance to pick up the limited edition knitwear collection too. And a rather wonderful Christmas wish will be unveiled there every day until the 25th. Enjoy – and free the joy! I’m drooling. 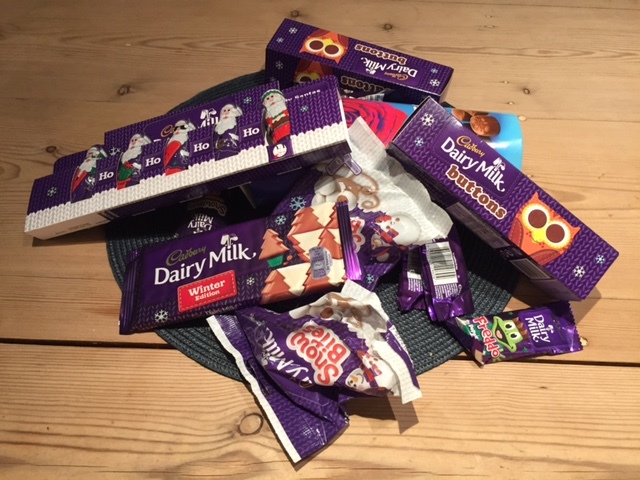 I’m afraid that chocolate wouldn’t make it to Christmas in my house!